The sheet music files are in Adobe .pdf document format. To view them, download the latest version of the free Adobe Acrobat Reader from http://www.adobe.com, or use a viewer such as Preview on the Macintosh. 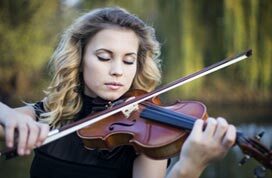 This music is in the public domain (or licensed through Creative Commons guidelines), so you may print out as many as you need for personal, performance, school or orchestral usage. SMA does not, however, grant any license to re-publish these works, and does not grant any kind of copyright in these works. PLEASE NOTE: If you do not have Adobe Reader installed correctly as a plug-in to your web browser, you may need to read the "How to SAVE ILES" section below to first save the file to your computer, then access it as a separate step. Most of the time, you can just click on the "download" link to download a file. Occasionally, some users have their computers configured a little differently. You might need click on the "download" link using your SECOND mouse button (or on Mac, press the "command" or "Apple" key as you click) and choose to "save file as" or "save link as" from the menu that pops up. Then choose where on your computer you'd like to save (such as a folder or your desktop) and access the file that way. Sometimes these saved files will be accessible through your web browser's DOWNLOAD menu (it could be under "Tools->Downloads" or "Window->Downloads"). IF YOU GET STUCK, you can always call our technical support line at 201-486-2974. 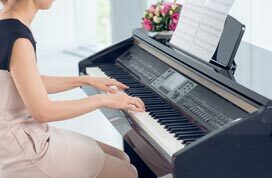 This site offers a completely legal sheet music download service, valid virtually everywhere around the world. Most editions of music presented on this site were published over 75 years ago, so their copyright has passed and they are in public domain, or they are available under various open licenses. We can therefore copy them and distribute them freely. So, both the music and the original editions of the music presented here are in the public domain in almost all countries; however, please be aware that the computer file reproductions embodied in the Sheet Music Archive are copyright 2000-2010. Copies of them may be printed out for personal and performance use, but they may not be used for commercial purposes without permission from the SMA, nor may they be distributed without permission from the SMA. 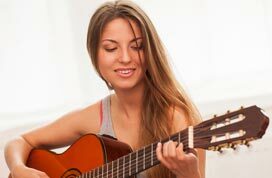 You may use them for any and all audition performances at any time, as well as for freely performed concerts; we ask you purchase some sort of subscription for commercial live performance. Some works are also distributed under the Creative Commons license, which means they are under current copyright by the copyright owner, who has chosen to license them freely to the public. Our role is to distribute and disseminate this music; you are allowed to use it as long as you respect the license terms, found at creativecommons.org. We could use a lot of complicated legal language, but here's the basic idea -- we give you permission to use these files for yourself or your music organization or musical associates (like students or band members or friends), but not to resell or republish the music for the general public. You could have other rights which vary by your country or jurisdiction. The majority of scores featured in this archive are from pre-1923 music editions such as C.F. Peters, Brietkopf and Hartel, Bach-Gesselschaft, various American editions, and some pre-1973 Russian music editions. These are all old enough to be out of copyright in the USA and essentially all other countries. We can therefore distribute them on-line without royalty, and users can legally download them. When applicable, we provide more exact licensing details for certain pieces that may be subject to restriction in certain zones such as the European Union, Canada or Russia. If you are in doubt, please check the copyright notice for each piece to be sure it is ok to download or use in specific areas. Also, please note that while the vast majority of files in the archive were prepared in-house, and therefore subject to SMA's copyright restrictions, a few files, where indicated, were prepared by people not affiliated with SMA. These "3rd party" files are subject to the copyright restriction of their respective creators; we do not control them in this sense. 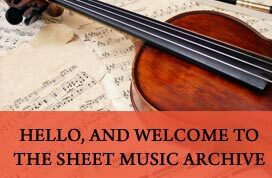 The Sheet Music Archive respects the privacy of its users and does not collect personal information about them without their knowledge and permission. The SMA is also committed towards keeping e-mail communications between itself and its users confidential. Non-specific, automated information such as cookie information may be collected in order to compile statistical data about traffic to the site, or to maintain basic user sessions when you are logged in (so you don't have to log in on every single page). We may send you account setup or maintenance information after you subscribe, or occasionally send you an email offer on a rare occasion, or some email if you request it, but we will never resell or redistribute your precious personal information to ANY other organization, or drive you crazy with tons of junk email.